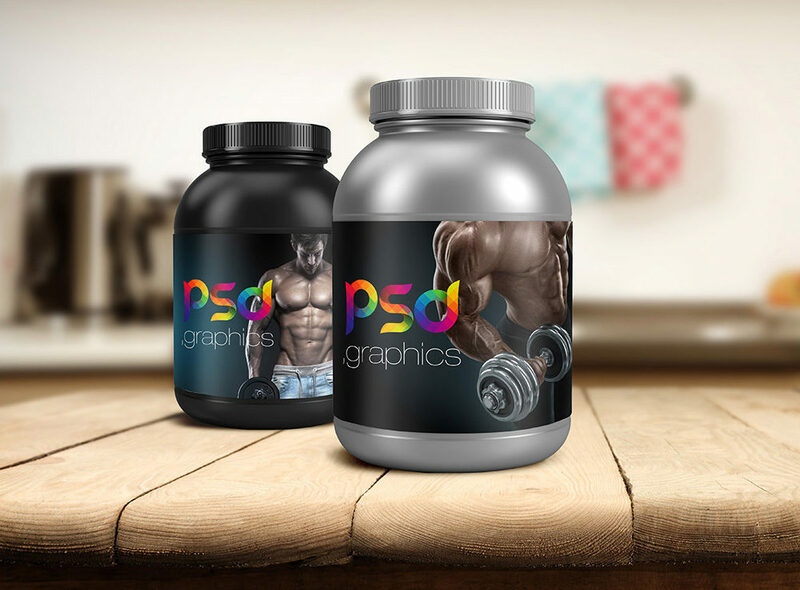 Download Free Plastic Protein Jar Packaging Mockup. Two different protein jar mock-ups Black and Grey. Easy to change background and customize jar label within smart object. Awesome mockup created by PSD Graphics.